Ameri-Source is an importer of hardened and tempered steel strips and a manufacturer of specialized graphite and specialty metal products for the last 18+ years. We are expanding our product line to include steel manufacturing, which will create more products locally, create more jobs, and establish us as a leader in steel production in the Western Pennsylvania region. Included in the expansion will be the building of and investing in a state of the art plant. We need strong, experienced and dedicated employees to fill the new plant and fill openings in the current business. We offer competitive salaries and benefits including 401K employer match. Beverly Services is looking to hire for immediate needs from entry level to Senior Commercial Technician. We are a full mechanical company that serves the HVAC, Electrical, and Plumbing trades for both commercial and residential customers. We have been in business for over 75 years, and service all types of customers from residential to large commercial chains in Allegheny County, and greater Pittsburgh Area. The applicant must be able to pass a background check, and a drug test. Pay based on experience. 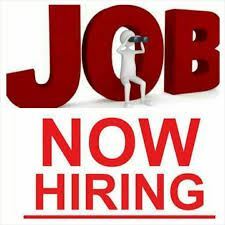 Clark Renovations Inc. - Residential Remodeling Company, is looking to hire entry level craftsmen. We will provide training. Applicants need to have a team mentality, good work ethic, and reliable transportation to get them to our shop each and every morning. Trade school experience or other work related experience a plus. Parking Lot Painting Company is seeking hardworking, talented individuals to join our team. We are hiring Pavement Marking Technicians. Valid drivers license required, CDL is a plus. Competitive wages, pension and benefits. For more information contact 412-600-8807. PS Wood Machines, founded in 1994, is a band saw/scroll saw related company. We make band saw blades and scroll saws in addition to distributing woodworking products for many other companies. We are looking for part-time, flexible schedule person for our shop to learn band saw blade welding, scroll saw assembly, and general shop work. We are also looking for a part-time, flexible schedule person for our office. When water or fire damage occurs in your Greater Pittsburgh area home or business, call PuroClean Restoration Specialists to start your journey to full recovery. Owners David & Kim Spierto and the team know how challenging water damage, mold damage, or fire damage can be to you and your family. It’s not the time to choose the wrong provider. PuroClean Restoration Specialists has a proven combination of training, state of the art equipment, and efficient relationships with insurance and other partners in your area. We are looking for multiple positions – Inventory Coordinator, Quality Assurance Personnel, Sales & Business Development as well as Service Engineers. Waterway of Southwest PA is the Number 1 Hose Testing Company in the US. We test fire hose, ladders, and other fire equipment for Fire Departments. We are looking for full and part time Safety Technicians.